Although people have been talking about sustainable building methods since the 1970s, it was only in the recent years when internationally recognized eco-friendly house certification systems started to function properly. It was understandable that he builders around the world would need an assessment system to guide them into the best practices and green building materials. The first such system was introduced in Great Britain in 1990 – BREEAM or the Building Research Establishment’s Environmental Assessment Method. It gained international recognition almost instantly due to the stern assessment criteria and the rather transparent evaluation method. Although the BREEAM is an internationally recognized system, many European countries developed their own local variations based on the BREEAM standards. Initially, the British system was aimed at newly built industrial and retail units. In 2000 a new branch – EcoHomes was established to deal with residential properties. 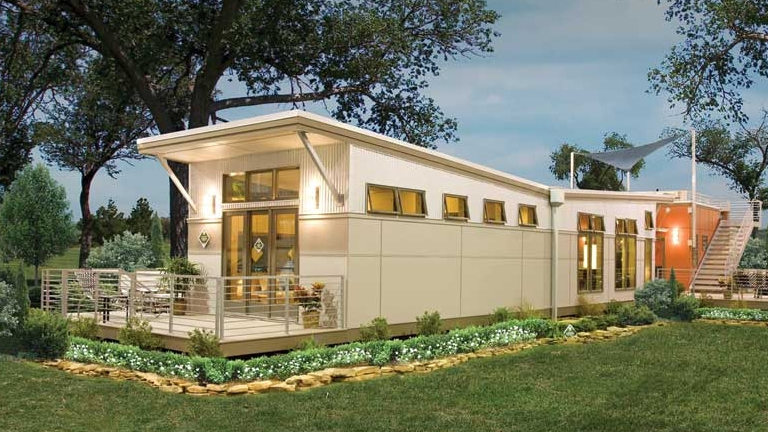 The latest revision of EcoHomes took place in 2006 and it is now pretty much in sync with the current eco-friendly house technology development. An alternative evaluation method was established in the USA in 1998, called LEED or the Leadership in Energy and Environmental Design. It applies to commercial and residential properties. Both British and American systems are point based. The LEED focuses on the local USA situation and is attached to the US Dollar currency rate, which somehow limits its international appeal. Nevertheless, it is globally recognized, mainly due to the well thought out marketing campaign and a good boost from the White House. Countries like Canada and India has adopted a derivative eco-friendly house evaluation system. Although you can take a course and become an accredited LEED professional, it means you can give advice to the builders and help them prepare documentation that would prove that the house they’re building is green. Once the documentation is approved by the US Green Building Council, there will be no follow-up and no-one will come and check the finished property. Thus the certification is given on a documentation basis. Meanwhile the BREEAM has trained assessors that will come and evaluate the way the home is being built. Besides, the British certification system is much centred towards the reduction of CO2 emissions and the grey energy of the materials used. For that reason it receives some criticism but that is probably the only way to reduce CO2 emissions. Building materials like concrete and mineral insulation sheets involve carbon intensive methods in their manufacture and the use of such materials should be discouraged and limited. If the majority of the houses built in the USA and Great Britain are not eco-friendly, what’s the purpose of these certification systems, you might ask. At the moment they are tools that are used to change the way we perceive buildings and the way they are being built. A LEED-certified house can be sold for at least 10pc more than a similar “gas-guzzling” home. In the future, as people become more familiar with green certification, building green will become even more popular. Both systems, BREEAM and LEED have their pros and cons and they have evolved so much during the years that any new schemes developed by other countries will more or less derive the main principles from those two. How green is your house? The author is sharing Eco-friendly house ideas on his blog. Please join the discussion. You will find something inspiring there whether you’re a professional architect or just a person trying to improve the quality of the world around you. The change starts in your own microcosm – your family. We cannot make the planet greener without everyone taking part and rising up to the challenge. Please also check the green building materials section to find out which material has the lowest grey energy. The popular belief that building green means spending too much money is largely just a myth now. Be the first to comment on "Eco-Friendly House Certification Systems"